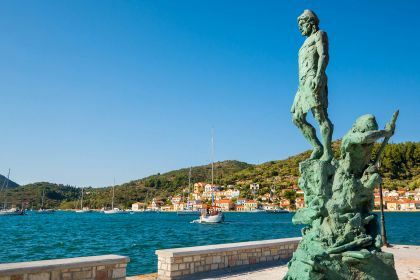 You will not be able to resist the allure of Ithaki, or Ithaca, as it also known — after all, as the mythical home of Homer’s Odysseus, it cannot but ooze the romance and mystique of all things Grecian. In Greek mythology, Odysseus had to overcome many tribulations before he could return to his beloved home of Ithaki. He was bewitched by the seductive charms of a bevy of beauties, but he ultimately spurned their advances. Why? His heart lay with Ithaki — and it is easy to see why. 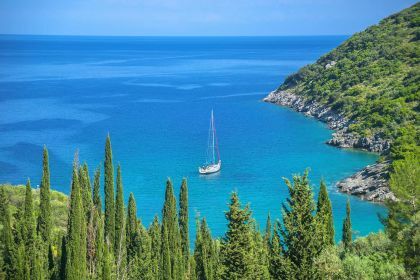 Located in the Ionian Sea, off the northeast coast of Kefalonia and to the west of continental Greece, Ithaki is characterised by lush vegetation, intriguing bays and coves and a collection of traditional villages. There are anchorage spots aplenty for your luxury yacht, with each opening a new window of adventure and opportunity. Conveniently, there is also a yachting service station for refuelling in Vathy, the capital. 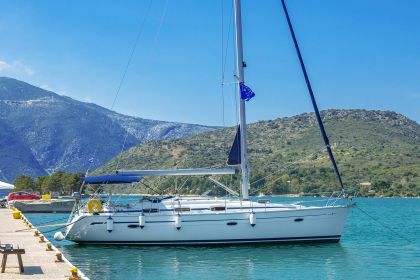 With its ancient ruins, tiny harbours, picturesque villages and fascinating history, Ithaki certainly brings something special to your luxury yachting vacation. Leave the comfort of your deck and you are sure to be generously rewarded. A good start is Exogi – a mountain hamlet 340m above sea level. With a population of just a handful, it offers an appealing escape from civilization. You will be dazzled, too, by the amazing views down the Gulf of Afales… the dramatic cliffs, electric-blue waters, pyramids commemorating emigrant Ithacans and the ancient ruins of a palace believed to have belonged to Odysseus. Or how about a visit to medieval Anogi, with its church of the Assumption of the Virgin Mary, dating back to the 12th century, where you’ll be awed by frescoes and icons from Byzantine and Venetian times. But it’s not all history and Greek mythology. There is a dash, too, of cosmopolitan style and glamour that will suit the sophisticated traveller. Vathy, the capital since the 16th century, is now a bustling hub, with traditional architecture, museums, shops and round-the-clock bars and restaurants. When it comes to sampling Ithaki’s gourmet delights, there is no shortage of exceptionally fresh and flavourful traditional food on the island. Take the celebrated Rementzo in Frikes, on the east coast. Its specialty dish of aubergine rolls, sea bream with currants and Greek-style green beans is guaranteed to tickle your taste buds. Other recommended options are Dodoni (the best ice cream on Ithaki), Calypso on Kioni, Odysseus Restaurant and Fish Tavern Poseidon. Think fresh fish and lobster and traditional Greek cuisine against a picture-perfect backdrop. 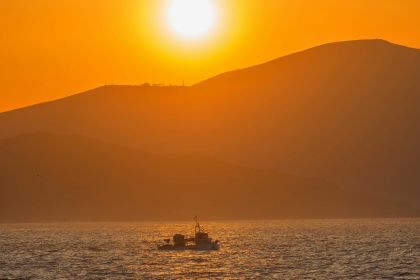 The Ionian Sea is a diver’s dream – and Ithaki one of the highlights. Every conceivable type of underwater adventure is on offer here: wall diving, reef diving, cavern diving and wreck diving… And to top it all off, the area is a magnet for Mediterranean monk seals, one of the world’s most endangered marine mammals. Insider tip Visit Gidaki Beach for some rest and relaxation. An exquisite hideaway spot, it can only be accessed by sea — the perfect destination for you and your luxury yacht. It features a pristine beach, sparkling pebbles and tranquil waters.